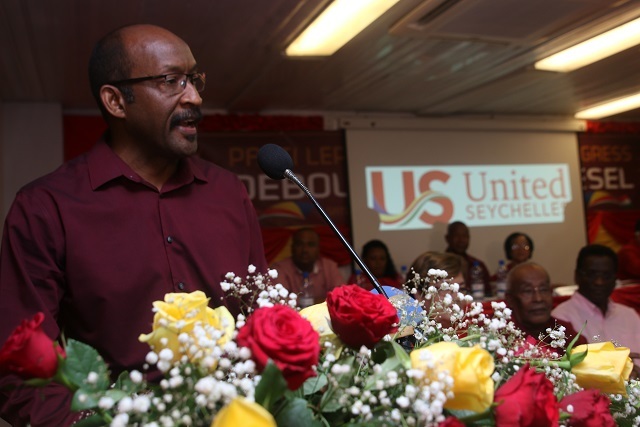 (Seychelles News Agency) - One of Seychelles’ major political parties has changed its name from Parti Lepep to United Seychelles in a congress that took place at the International Conference Centre in Victoria on Saturday. The secretary for communication, Sebastian Pillay, told reporters that the name reflects the new inclusive political climate that the country is in, thus allowing members to separate themselves from partisan politics and work more for the people and unify them. Pillay said the name ‘United Seychelles’ is not a sign of weakness but a rebranding exercise that many political parties do at a certain point in their journey. The party’s new constitution “is a transformative document that seeks a departure from partisan politics that can bring a lot of division. This is one of the reasons why we incorporated a name that brings unity for all Seychellois,” he added. 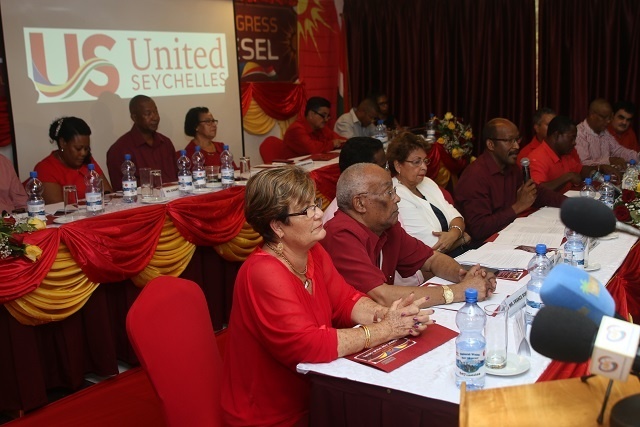 The United Seychelles party has also a new motto -- ‘Debout for pour Sesel’ -- which is Creole for standing strong for Seychelles reflecting the new set of principles adopted at the congress. This is the fourth time the party who has led the executive branch of Seychelles since 1977 has changed its name. Established by former president France Albert Rene in 1964, the party’s name was the Seychelles People’s United Party (SPUP). In June 1978, SPUP became the Seychelles People’s Progressive Front’ (SPPF) until June 2009 when it changed to Parti Lepep. Aside from the change in name, the party also has a new logo designed by two Seychellois -- Ivan and Rene Labrosse from ‘Infinit Creative’ Company. Vincent Meriton -- the party leader -- who is also the Vice President of Seychelles, an archipelago in the western Indian Ocean, said the name change will not affect current members of ‘Parti Lepep’ in the National Assembly. “The United Seychelles will succeed ‘Parti Lepep’ and the members will remain as members of the National Assembly. A letter is expected to be sent to the speaker of the National Assembly to explain the member’s position,” said Meriton. Several changes were also made in how the party will function and these include a new rule stating that a leader cannot stand for more than two consecutive terms, thus encouraging new leaders to take charge. It also has provisions for the selection of a new party leader based on the person best portrays the party’s values. “One of the most important things is that if one day we have a leader who decides to depart from the party’s principles, our constitution makes provision for us to recall this leader,” said Pillay. The party leader, Meriton, told the congress that despite President Faure’s separation from the party, they are supportive of each other as their principles are in line with that of the government. The party’s new name will be formally registered at the Electoral Commission on Monday, November 26 and the new logo at the copyright section of the Registrar’s office.